Arkansas requires corporations to have names that can’t be confused with any reserved or registered corporate names or forced fictitious names. Company Express will research your company name to make sure it meets Arkansas’s standards. 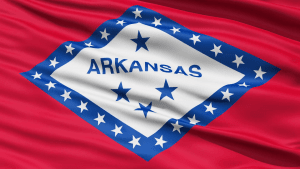 Arkansas permits a corporation’s principal office to be located outside of the state. Arkansas requires Limited Liability Companies to have names that can’t be confused with any other limited liability company, limited partnership or corporate names. When you form your LLC with Company Express’s help, we?ll research your company name to make sure it meets Arkansas’s standards. Required documents: Companies that wish to form an LLC in Arkansas must file Articles of Organization and a Franchise Tax Registration. Remember, when you work with Company Express, we’ll take care of this filing for you. Arkansas permits an LLC’s principal office to be located outside of the state.